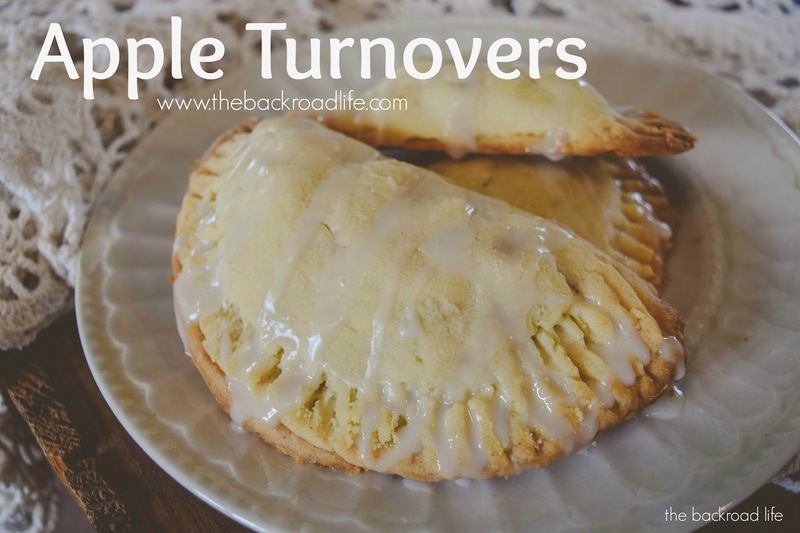 A simple grab and go breakfast, a dessert after a meal or a snack, apple turnovers are a great recipe to make! A childhood favorite continuing and make for my kids as well. Everyone loves them!! The delicious pastry outside with a hint of sugary icing on top. 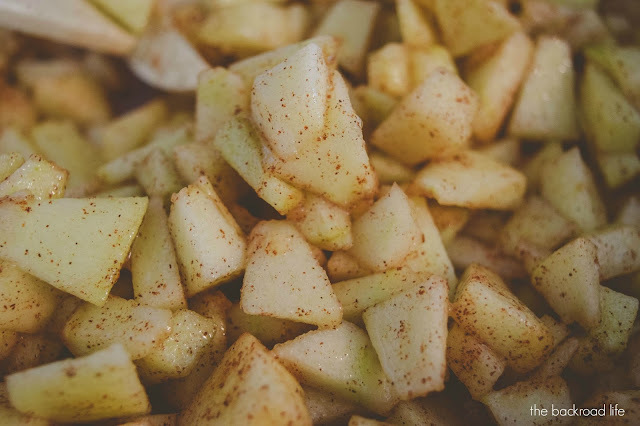 Then when you bite inside you get the gooey deliciousness of the cinnamon apples! Apple turnovers for me go way back! I remember my mom, aunts, and grandma getting together one day and preparing and backing up big batches of apple turnovers! My cousins and I would help anywhere we could. We would make up several eat then and for each family to take home to put up in the freezer for later. I continue to do this today for my own family as everyone loves them! My daughter enjoys helping make them too! 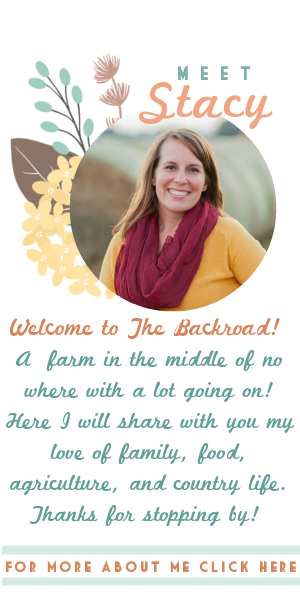 She rolls out her own crust and works at making her own turnovers. They are even great to take to the field for dessert. Mix together the flour, shortening, and salt. Dissolve the yeast in slightly warmed sweetened condensed milk. Let stand for a few minutes and then add the beaten eggs. Mix together with the flour, shortening, and salt mixture. For a ball and leave in refrigerator overnight. Set crust ball out in room temperature. Roll out thin. Cut circles for the turnover crust. Use any shape depending on what size you want your turnovers to be. I use a small bowl for my circles. Mix all ingredients together in a large pot and cook until apples are tender. I put a little bit of water at the bottom of my pot. Place 1 tablespoon of filling in on each turnover crust piece. Fold over the crust and press the seams down with a fork. Dip fork in flour to prevent crust from sticking to fork. Brush a little melted butter on top of each turnover before baking. Optional: Sprinkle with sugar before baking. Bake at 375 degrees for 15 to 20 minutes. Recipe makes about 3 dozen turnovers. Optional: If you didn't sprinkle sugar before baking on each turnover, you can also make a glaze from powdered sugar and water and drizzle over top of the turnovers after they have cooled. (This is how I have done it in this post). The apple turnovers can easily be split over 2 days to make as well. One day make the crust and the filling and the next day cut out the individual crusts and bake them all. They are so tasty freshly baked, but will also keep for a few days after as well. They are great for freezing! 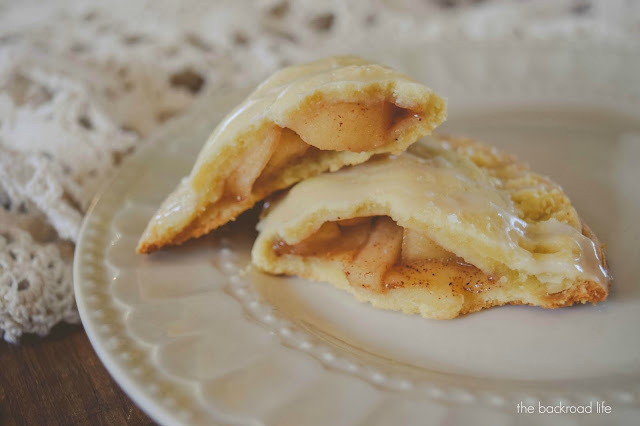 If you love to bake with apples, especially in the Fall season like I do, then be sure to add these apple turnovers to your recipe list! Our chickens sure enjoyed the apple peelings too! thoughts/opinions are always 100% my own. Why do farmers use an auger cart during harvest? 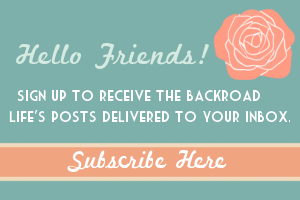 Blog Design: www.tracimichele.com. Simple theme. Powered by Blogger.